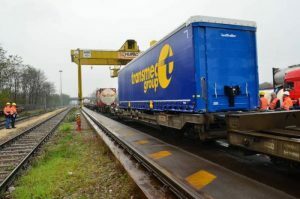 Transmec Group announced the expansion of its intermodal services, by launching a train services between Romania and Poland, taking 36 hours. The first train to Lodz, in central Poland, departed from Oradea, Romania. The transport services are offered in cooperation with P&O Ferrymasters. Beginning with one roundtrip per week, the service will be increased with a second departure running from May. The first departure took place on 20 March at 10 am, from Oradea, and the train will arrive in Lodz on 21 March at 11 pm. “Oradea, our private terminal jointly owned with P&O Ferrymasters, is a superb facility that provides a price-competitive and eco-friendly gateway to important growth markets. Our ongoing investment is enabling us to run more services across Europe,” Transmec Group, Danilo Montecchi, said. In 2018, Transmec Group moved 13,000 intermodal shipments to and from Romania with a high average fill rate of the trains.